As soon as I saw this sentiment from So Suzy Stamps, I knew I had to have it. Isn’t it perfect? I adore how uplifting an encouraging it is an thought some bright colors and flowers were the perfect thing to dress it up! 1. 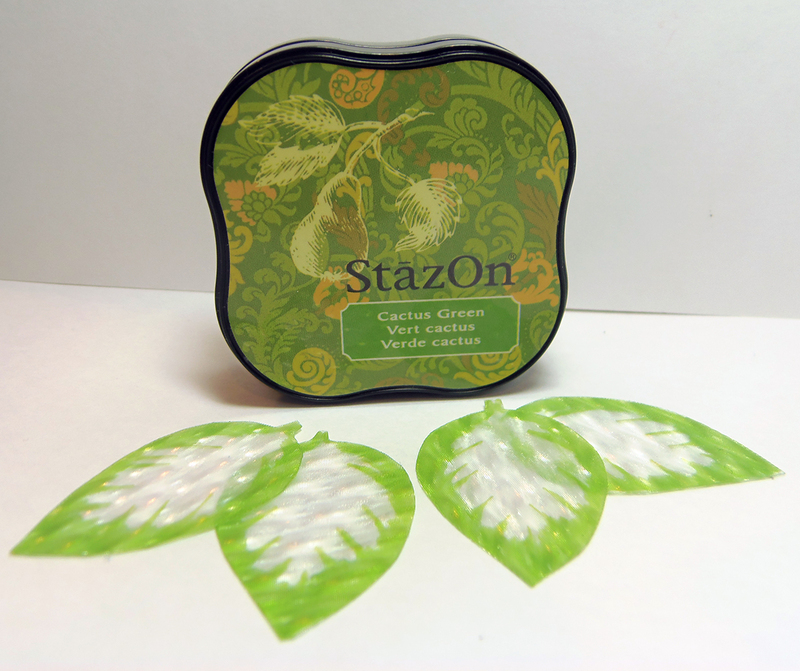 Stamp leaves on Vertigo using StazOn Cactus Green ink and fussy cut. 2. Stamp flowers on a different piece of Vertigo cardstock using Radiant Neon Electric Orange ink and fussy cut. 3. 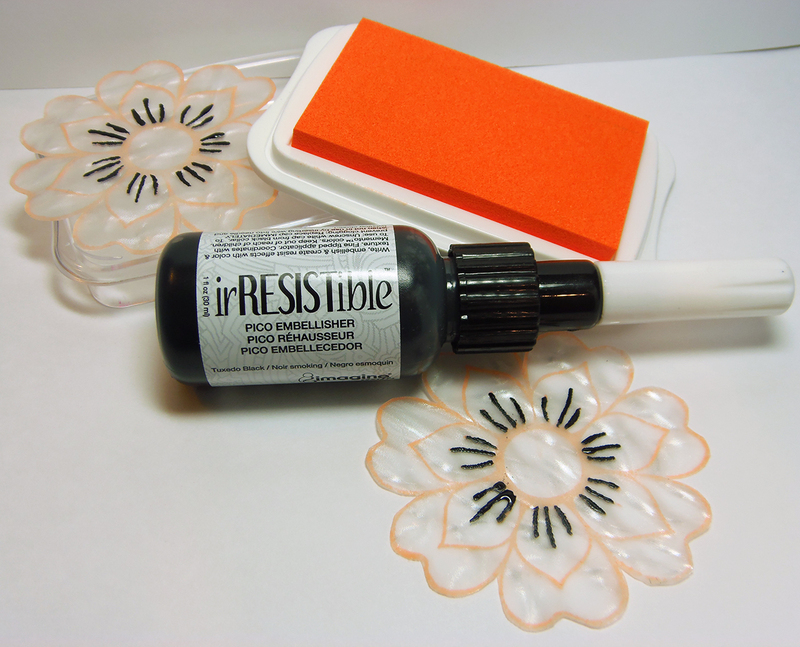 Using the Pico Embellisher Tuxedo Black, draw center lines on petals. 4. Die cut frame using white cardstock. Do not remove cardstock from the die. 5. Using a craft knife, cut out the large square center. 6. 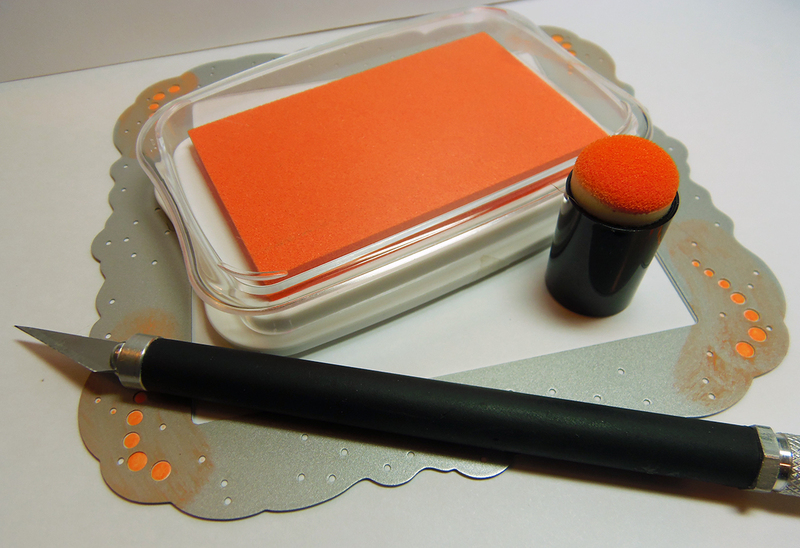 Using Sponge Daubers, add Radiant Neon Electric Orange ink to embossed portions of frame. 7. Remove cardstock from frame. 8. Spray frame with irRESISTable Colored Texture Spray in Dandelion. 9. Die cut frame again. Do not remove cardstock from frame. 10. 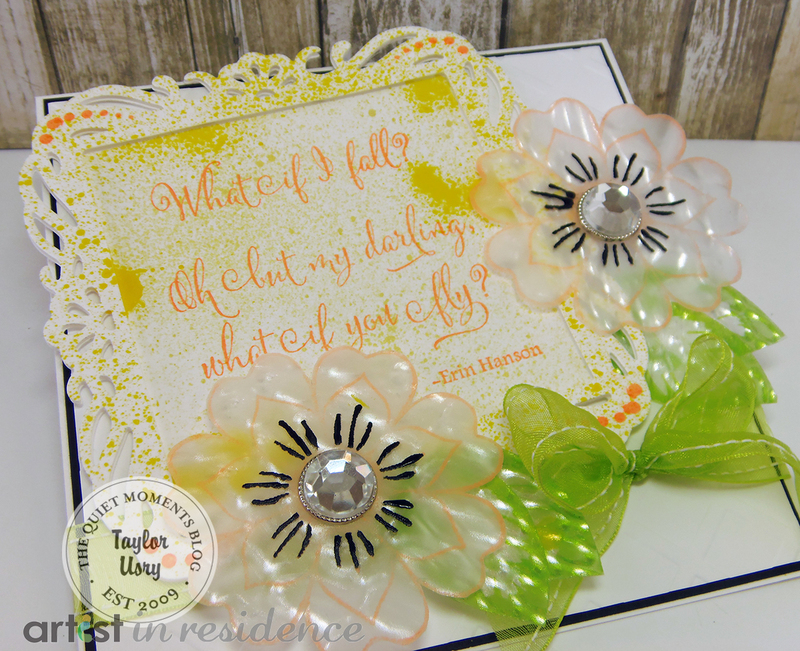 Stamp sentiment using Radiant Neon Electric Orange ink. 11. Spray cardstock with Fireworks! Spray Dandelion. 12. 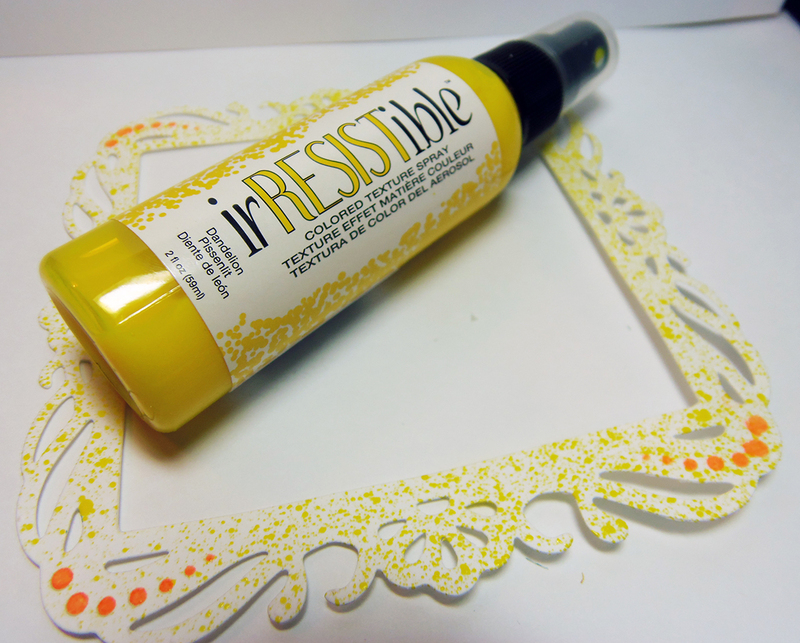 Spay cardstock with irRESISTable Colored Texture Spray Dandelion. 13. Adhere both frame images together using foam adhesive for dimension. 14. Emboss background as desired and add ribbon. 15. Attach all elements to card base. I am absolutely gobsmacked! This is an outstanding example of awesomeness!! I love everything about it and I totally agree that the sentiment is perfectomundo!! LOVELOVELOVE it! TFS! What Barb said and yes I really, really mean it! LOVE the sentiment, LOVE your flowers, LOVE IT ALL!!! really like that sentiment and love what you’ve done with the vertigo, Taylor! 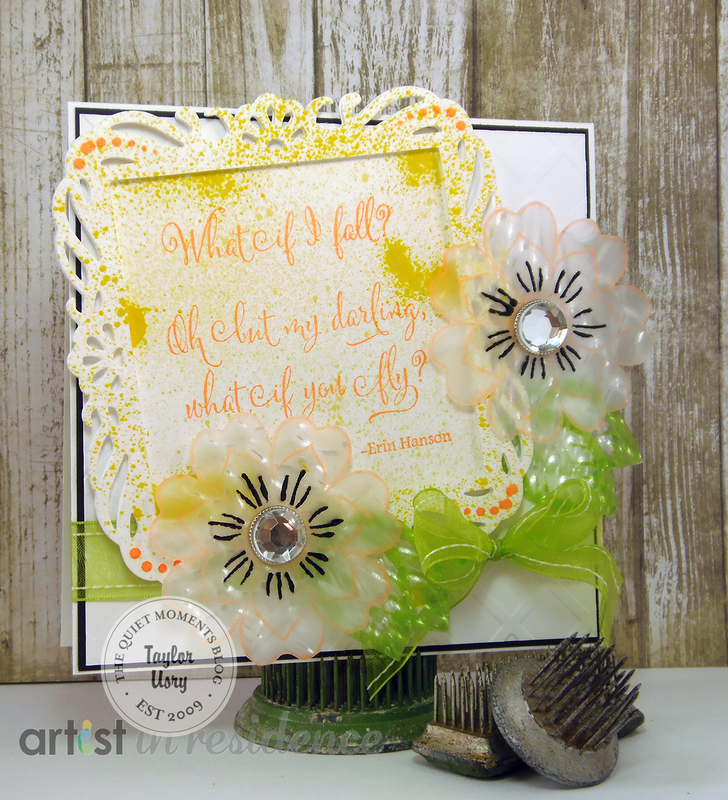 such a bright, cheery beautiful card to make and/or to receive.